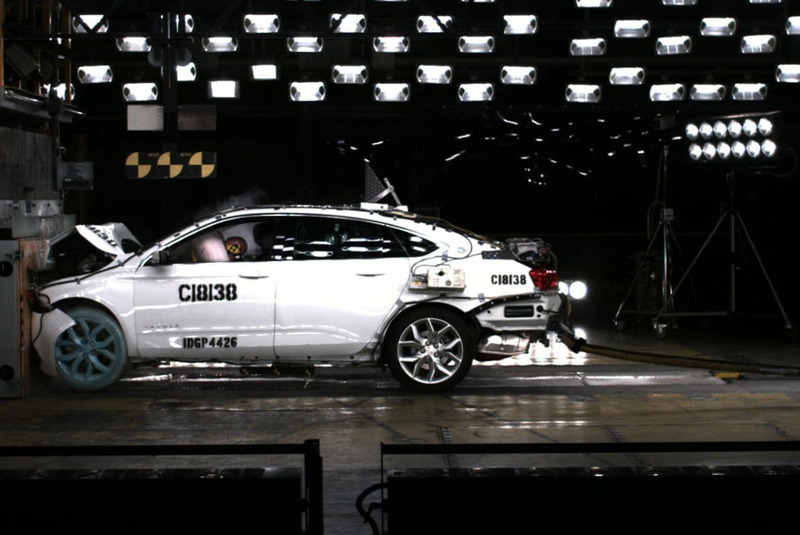 The 2014 Chevrolet Impala has received the highest possible five-star overall vehicle score for safety as part of the National Highway Traffic Safety Administration's New Car Assessment Program. benchmark for Chevrolet's flagship sedan," said Gay Kent, GM General Director of Vehicle Safety and Crash worthiness. "The 2014 Chevrolet Impala is designed to provide excellent crash safety, and offers customers several safety technologies not previously available in Chevrolets." The redesigned, full-size sedan presents one of the most comprehensive collections of standard and available safety features in the segment. It employs advanced technologies - including radar - to help avoid crashes. Visual and audible alerts, depending on the alert feature, help drivers identify potential crash situations and even intervene when a crash threat appears more imminent. The alerts are designed to identify potential threats with sufficient warning to give the driver time to react and make changes.